As you are all probably aware by now, there is a new beauty box on the block! This time in the form of the Carmine beauty box. Similar to other beauty boxes, the Carmine beauty box is £10 a month plus £2.75 postage and packaging for 5 hand picked deluxe samples. I was sent this months Carmine beauty box to share with you all. 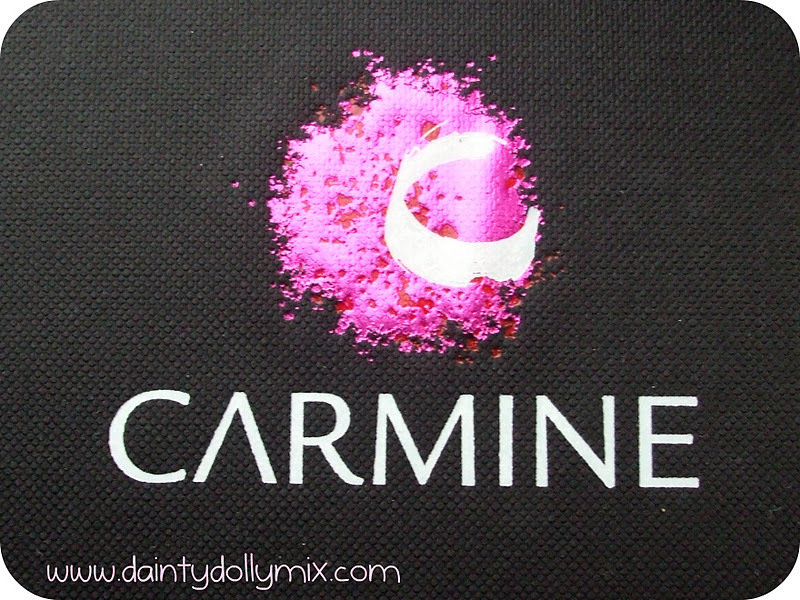 Carmine is probably the newest box out of the beauty boxes and i am slowly working my way around trying them all! I may have to give the feel unique box a go to! Packaging wise, the beauty box itself comes in a bright orange Carmine cardboard box. The actual Carmine box is black, with a red Carmine logo on the top. It is much bigger than other beauty boxes and has a lid that lifts off. 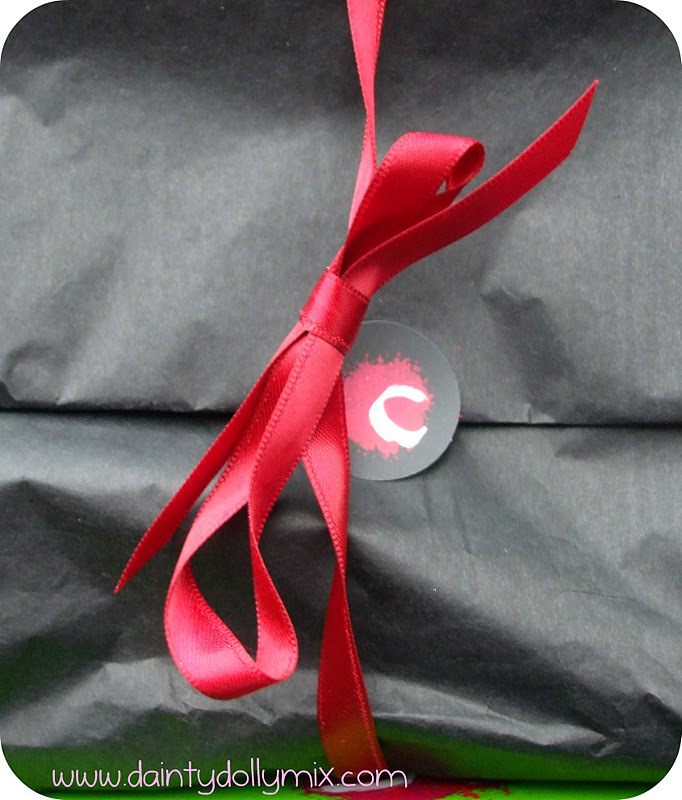 It has a bright green coloured interior with black tissue paper and red ribbon and shredded paper. It includes a detailed booklet with a list of each of the products in the box too. Whoever knew Lulu had her own skincare line? Definitely not me! This is a good sized sample of Lulus time bomb flashback night cream, admittedly i havent used this yet and im not sure i will do as i am happy with my skincare routine at the minute! I think i will be popping this into my giveaway box! The sample is 15ml in size, definitely a good size to trial and see if it is suited to you before you buy it big! 45ml retails for £30 so this sample is worth roughly £10! 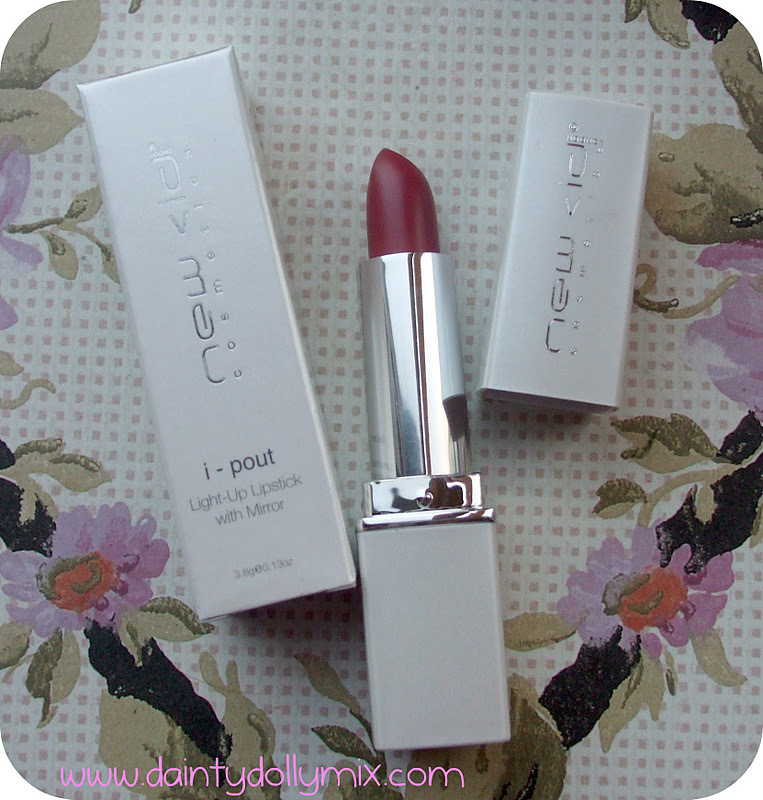 I have heard a lot about New CID as a make up brand before but have never actually divulged into it myself. The ipout lipstick comes with a mirror and a light so perfect for applying in the darkness (if that is your thing of course!). The colour is 1311 Damson which is a gorgeous berry colour and perfect for this time of year! The lipstick is full size 3.8g and retails for £15. Dainty Doll is the makeup line from 1 fifth of Girls Aloud, Nicola Roberts. It is a beautiful teal green colour called 'Shake your tail feather' that is actually stunning and extremely festive allthough not quite my cup of tea! Although i do know who i will be passing this on to...my mum! She absolutely loves anything green when it comes to eye makeup so this will be right up her street! This is full size and retails for £10.50. 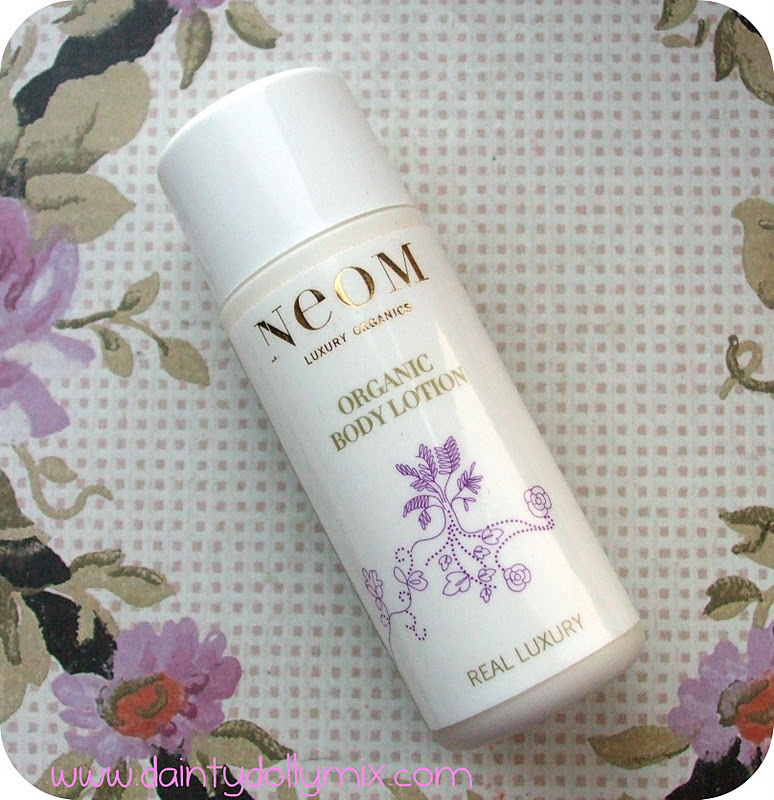 The Neom organic body lotion is packed with the fragrance of lavender, jasmine and basil which i really do like! 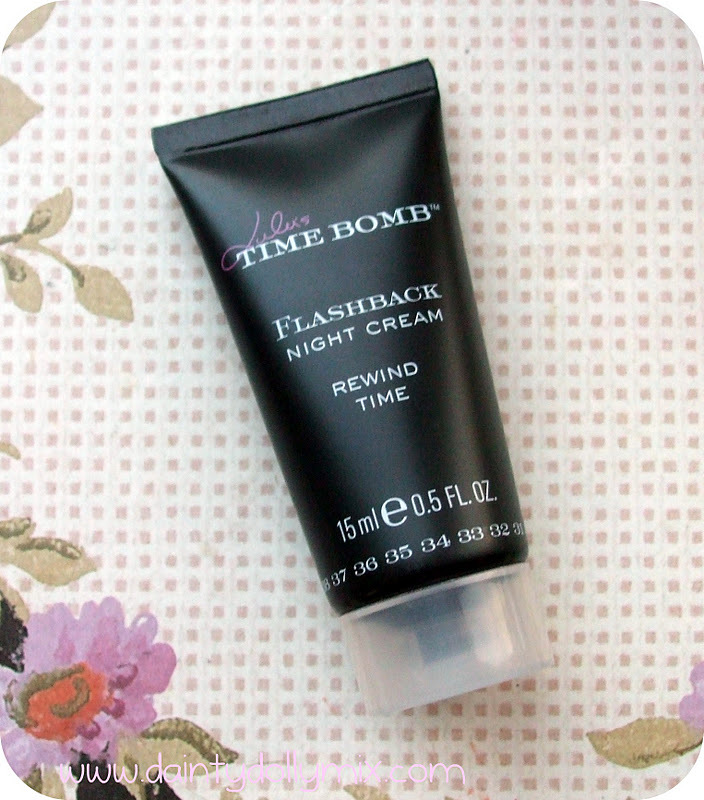 This sample is a good sized 50ml, with the full size 240ml retailing for £23.50. This is the product that stands out to me the most in this box. The colour is retty much perfect for the colour of my eyebrows and it doubles as a eyeliner too! It is a full size product and retails for £22 so this months box is well worth the price just for this! Overall, I think this months box is great value for the £13 you pay per month especially as it includes 3 full size products that would cost nearly £50 to buy individually. However, couple of things are not really suited to my colour palette such as the lipstick and eyeliner although i do love the brow ink! What are you feelings on beauty boxes? Have you tried Carmine? I received the first Carmine box and was quite impressed with it. I have so far managed to resist any beauty box subscriptions, although I am very tempted by this one as it seems much better value than most. I haven't tried any beauty boxes. I think the boxes in the UK are soo much better than the ones in the US. It's sad. :( The products looks amazing. I'm really debating to subscribe to Carmine, or just do one box every so often! It's the only box that appeals to me! I keep meaning to subscribe but funds are low at the minute. Only belong to Glossybox but thinking of cancelling and trying another! 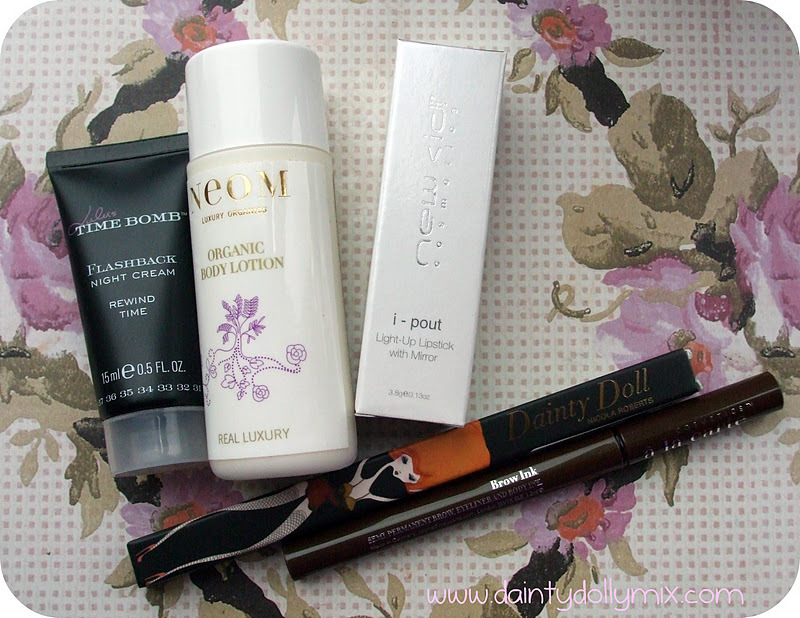 I am yet to subscribe to any beauty boxes yet! But I am loving the sounds of Carmine and Feel Unique boxes. The full size items are such a great bargain! I'm seriously thinking about following Carmine. It all looks lovely! God, these products are brilliant! So much better than some of the others that I have seen. At the moment I've only subscribed to GlossyBox although I think after seeing this I'll subscribe to Carmine as well!